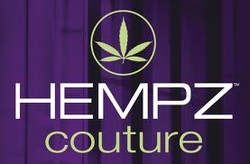 HIDDEN HILLS HAIR SALON & SPA IS AN OFFICIAL RETAILER FOR TOP LINE HAIR CARE PRODUCTS SUCH AS WELLA, ALFAPARF, HEMPZ COUTURE, OPI, CND, BIOELEMENTS AND MANY MORE. OUR STYLISTS AND TECHNICIANS ARE HIGHLY EXPERIENCED AND KNOWLEDGEABLE OF ALL THE PRODUCTS AND ARE HAPPY TO CONSULT WITH YOU ABOUT THE BEST SOLUTION FOR YOUR HAIR AND SKIN CARE NEEDS. LUXURIOUS HAIRCARE PRODUCTS WITH HIGH QUALITY PROFESSIONAL FORMULAS. MADE WITH 100% PURE ORGANIC HEMP SEED OIL. COLOR SAFE, ANTI-FADE, SULFATE FREE, GLUTEN FREE, AND 100% VEGAN. *COLOR PROTECT SHAMPOO & CONDITIONER, COLOR PROTECT LEAVE IN DETANGLER, COLOR PROTECT SHINE SPRAY. *FINISHING STYLING MOUSSE, FINISHING FIRM HOLD FINISH SPRAY, FINISHING STYLING GEL, FINISHING FLEXIBLE HOLD SHAPING SPRAY. 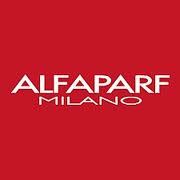 ALFAPARF IS THE LEADING ITALIAN MANUFACTURER OF PROFESSIONAL, SALON EXCLUSIVE HAIR CARE & STYLING PRODUCTS. TRI PRODUCTS ARE THE BEST OF NATURE BLENDED WITH MODERN TECHNOLOGY. THE INGREDIANTS ARE ALL NATURAL AND HAVE ALWAYS BEEN COMPLETELY BIODEGRADABLE AND NEVER TESTED ON ANIMALS. CND IS COMMITTED TO PROVIDING THE SALON & SPA PROFESSIONAL WITH EVERYTHING THEY NEED FOR THE HIGHEST QUALITY NAIL SERVICES. OUR NAIL TECHS ARE CND SHELLAC CERTIFIED. SHELLAC IS THE ORIGINAL POWER POLISH SERVICE WITH A 14+ DAY WEAR, MIRROR SHINE AND ZERO DRYING TIME. MILK_SHAKE IS PART OF THE YOUNG, DYNAMIC, ITALIAN COMPANY Z.ONE CONCEPT. THEIR INNOVATIVE PRODUCTS OFFER THE BENEFITS OF MILK & FRUIT FOR WELL BEING AND BEAUTY TO SATISFY THE NEDS OF THE DISCERNING CONSUMER AND SALON PROFESSIONAL. 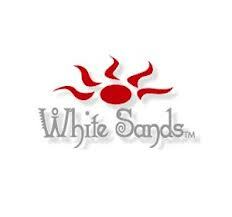 WHITE SANDS USES CUTTING-EDGE SCIENCE COMBINED WITH NATURAL BOTANICALS TO MAKE EACH FORMULA DYNAMIC & UNIQUE. THE BIG 5 FREE HEALTHY FORMULA: FORMALDEHYDE, FORMALDEHYDE RESIN, TOLUENE, DIPUTYL PHTHALATE & CAMPHOR FREE, VEGAN FRIENDLY NAIL COLOR! 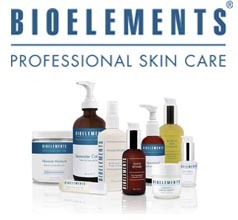 PROFESSIONAL SKIN CARE DESIGNED FOR THE TREATMENT ROOM, AND USED AT HOME. ANTI AGING SKIN CARE PRODUCTS, SKIN LIGHTENING , FACIAL CLEANSER, WRINKLE CREME, AND SUNSCREEN. QTICA SMART SPA USES THE PUREST AVAILABLE COMBINATION OF NATURAL INGREDIENTS, INCLUDING HONEY, WHITE TEA, GREEN TEA, PURE SUGAR, FRUIT ACIDS, ANTIOXIDENTS, SKIN REPAIRING CONDITIONER AND NATURAL HERBS TO DELIVER DRAMATIC RESULTS, AROMATHERAPY AND TOTAL SENSORY THERAPY.